Need a little more sparkle in your life? 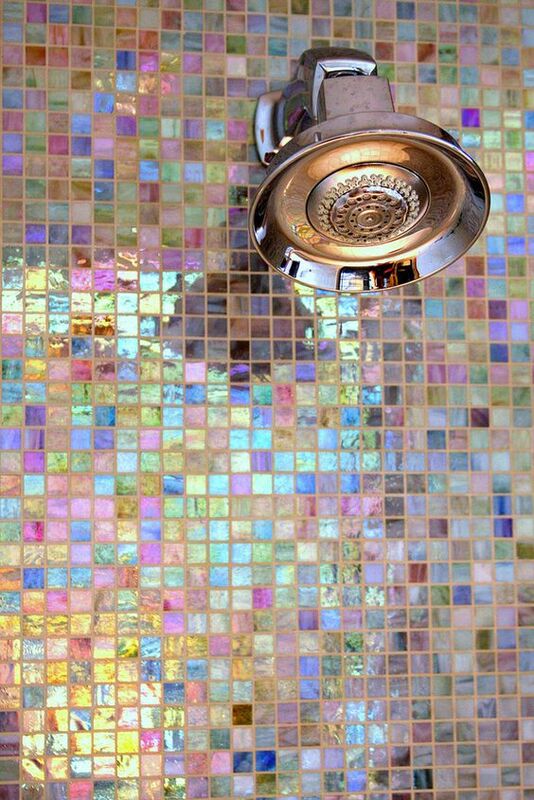 Try iridescent tile! This tile can be used inside and outside the home. 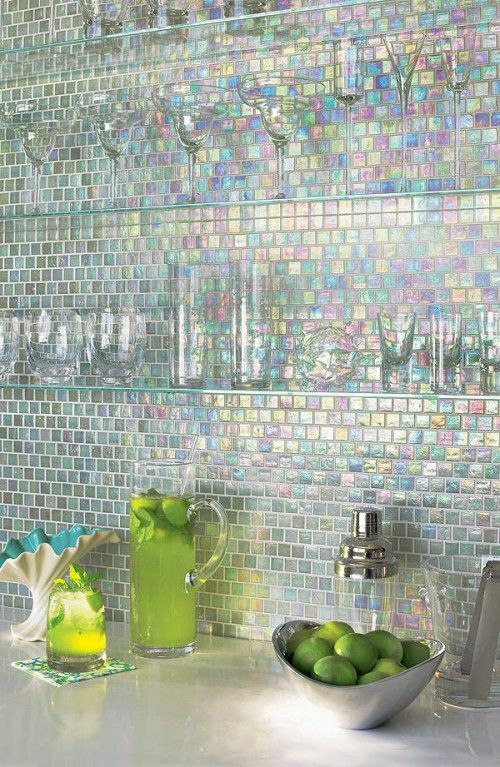 Whether you restrict it to a shower area, try it in your kitchen backsplash, or use it in your pool, this reflective tile is a great way to add a bit of luxury to your everyday life!